Pursuant to N.J.S.A. 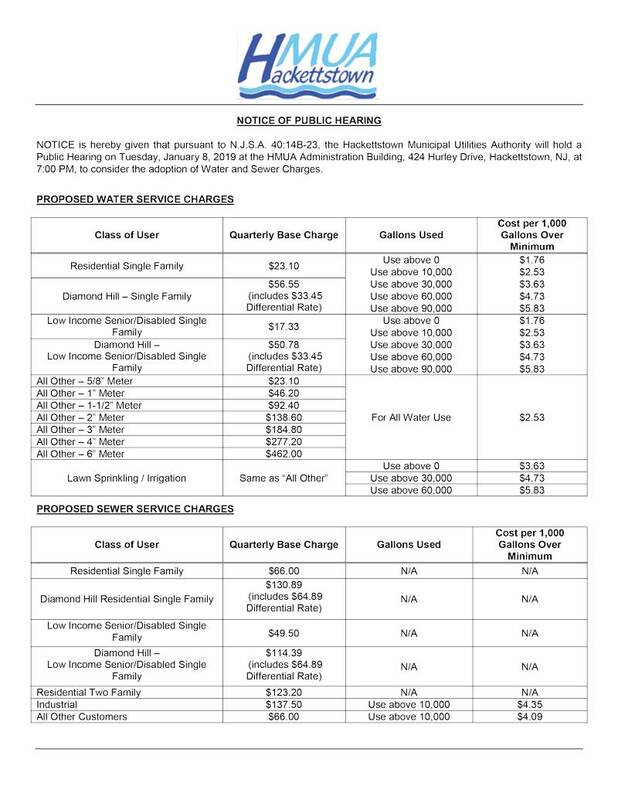 40:14B-23, the Hackettstown Municipal Utilities Authority will hold a Public Hearing on Tuesday, January 8, 2019 at the HMUA Administration Building, 424 Hurley Drive, Hackettstown, NJ, at 7:00 PM to consider the adoption of water and sewer charges. 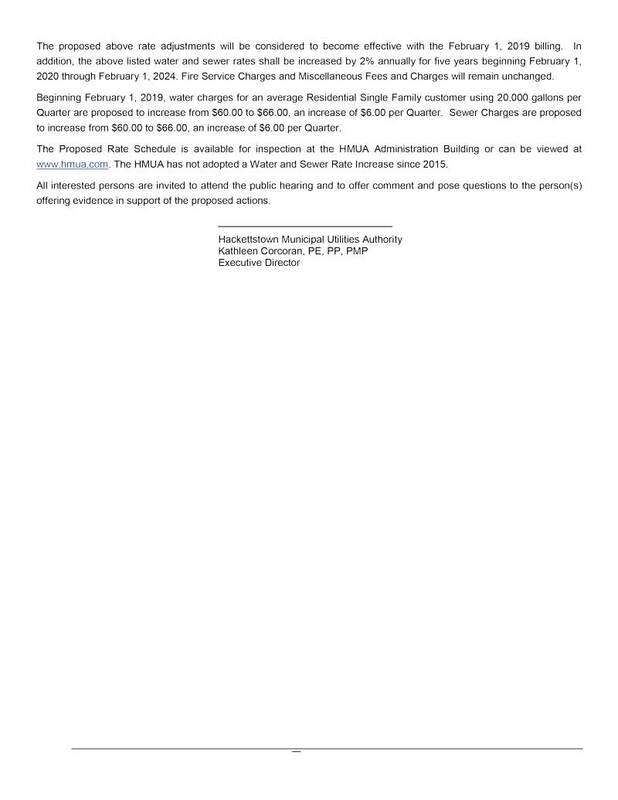 The proposed rate adjustments will be considered to become effective with the February 1, 2019 billing. In addition, water and sewer rates shall be increased by 2% annually for five years beginning February 1, 2020 through February 1, 2024. Fire Service Charges and Miscellaneous Fees and Charges will remain unchanged.